Minimum order is 50 coolies. Pricing as low as $1.19 each. Our unique color camos are fun and allow so many vibrant offerings. 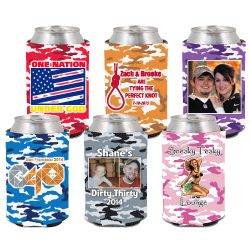 Adding your personal statement to these one of a kind cozys will dress up any can. Available in a variety of colors so that your cooler will stand out. 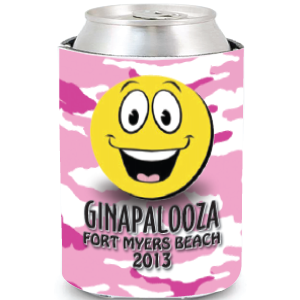 We can also customize the color and let you pick your own camo color at no additional charge.